November is a rough month. Just when you think you survived the all-out marathon of Halloween prep — acquiring the perfect costume for your kids only to have them complain that they want to go as something else the day before — and have time to sit back and relax, it hits you: you only have a few weeks before Thanksgiving, which means you only have a few more weeks before the holidays are in full swing. 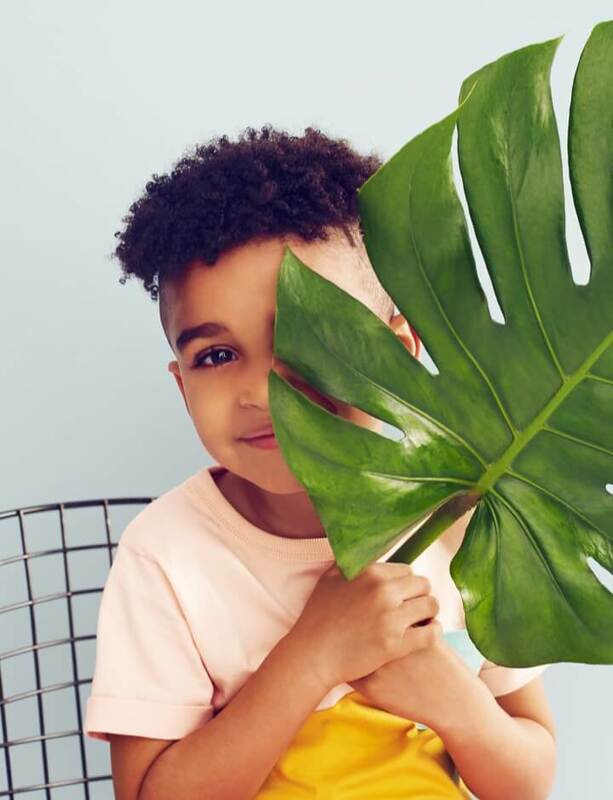 But before you jump back into the fray, we rounded up some items sure to give you — and your kids! — a good, much-deserved laugh. 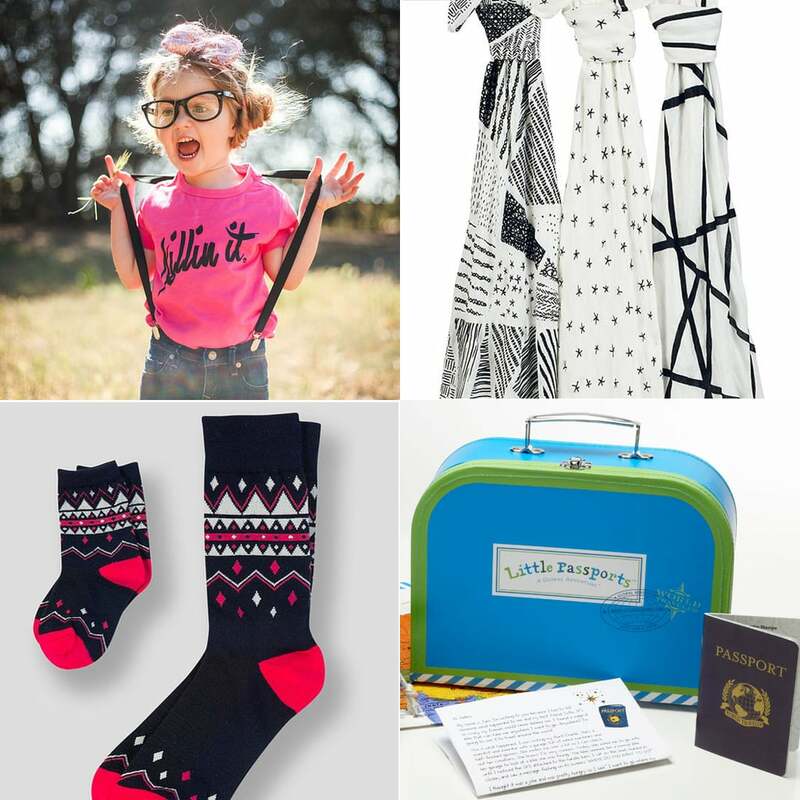 Before you're off and running, we insist you take a peek at our picks, everything from playful books to cheeky coffee mugs to a notecard you'll want to buy in bulk. 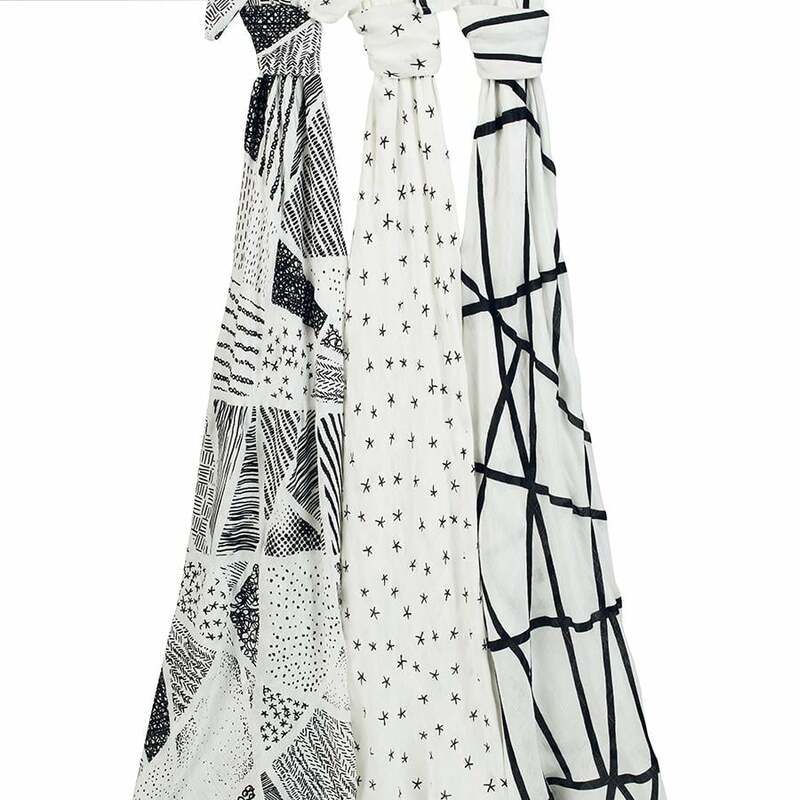 The latest prints on the ever-popular Aden + Anais silky soft swaddle three-pack ($45) are black and white and ultramodern. In fact, they're so stylish that I plan to use them as scarves once my baby outgrows them . . . or maybe even sooner. We recently became big fans of the Lost My Name personalized storybooks for their unique way to work children's names into their stories. 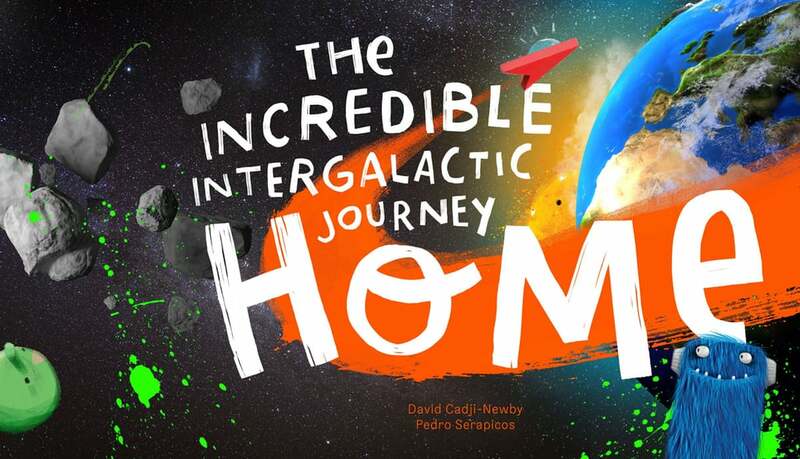 But their latest book, The Incredible Intergalactic Journey Home ($30), is truly magical. 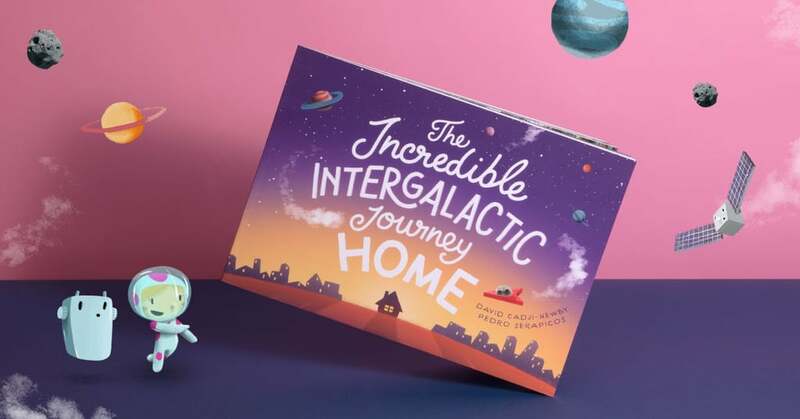 The STEM-focused story combines space exploration and sweet storytelling to tell the tale of a child — who happens to have your child's name — who is trying to find his or her way home through the galaxy. As the story nears the end, the photos on the pages may start to look familiar — first your country, then a landmark from your area, and eventually a NASA photo of your home! It all comes together because parents add their home address when ordering the books. They really are a great learning tool and one that the whole family will enjoy! I'm a huge fan of graphic tees that pack a punch, and this "Killin' It" shirt ($18) does just that. It's classic, cool, and completely adorable. Being able to travel the world with your family is great in theory but darn near impossible in practice. Not only is it expensive, but getting kids to appreciate new cultures isn't always easy in the moment. 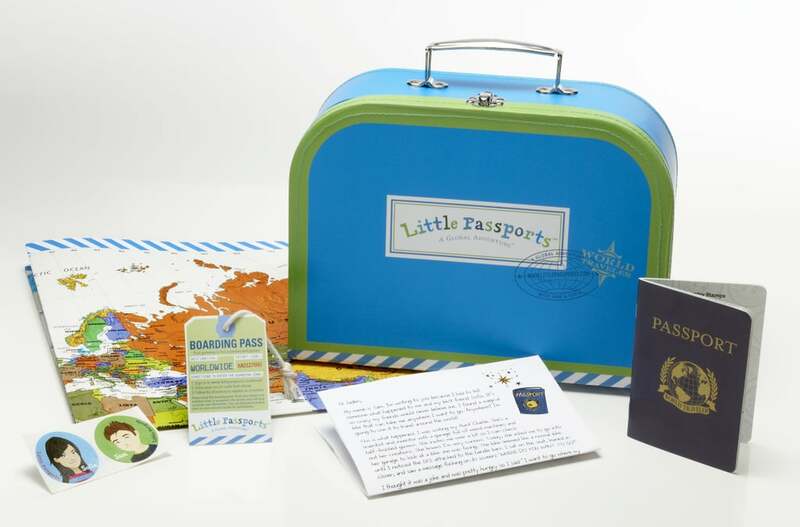 Enter: Little Passports subscription "suitcases" ($12 per month for a full year). All you have to do is choose from three plans based on age groups and check your mailbox for monthly destination-specific packages filled with letters, souvenirs, and passport stamps — minus the stressful lines at the airport. I'm predicting that The Good Dinosaur is going to be the hit flick of the holiday season for little ones (I know. There's a BIG film coming out this season, too, but this one is for the little ones in your life!). And with every big film there come toys to match. 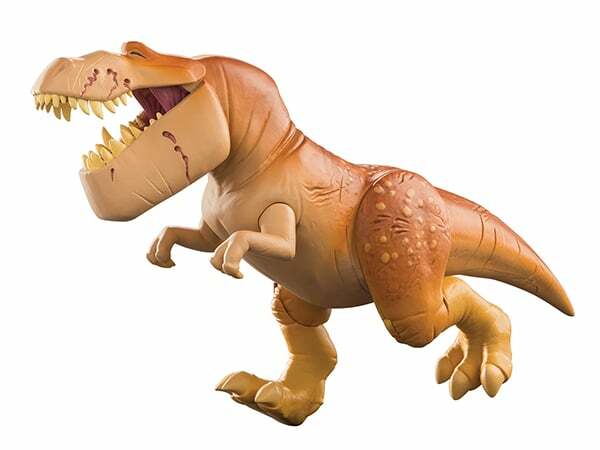 This Galloping Butch ($35) roars just like his character does in the movie and says several catchphrases, too, which means little dinosaur fans won't want to put it down! Planning a "mommy and me" day with your daughter or does she just want to look as comfy as you after a long day? Up the cuteness factor with matching robes! Livly Clothing offers a Mrs. Livly robe ($144) to perfectly match the Mini Livly robe ($78) — and both are made from 100-percent Pima cotton and include cute sleeping eyes on the back. Bath toys are my secret obsession. 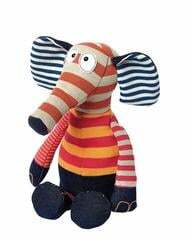 It is such an integral part of the parent-child bonding process that, when I find a toy that makes it even more fun, I get a bit excited. Skip Hop's Zoo Light Up Surfers ($10) fit right into the category. Not only are they adorable little characters sitting on a surfboard, but they also light up when they make contact with water! Simple, but fun. Just the way I like it! I'm a sucker for pretty much anything involving yetis, but this new book, The Thing About Yetis ($13), out on Nov. 10, is just pages and pages of fun. 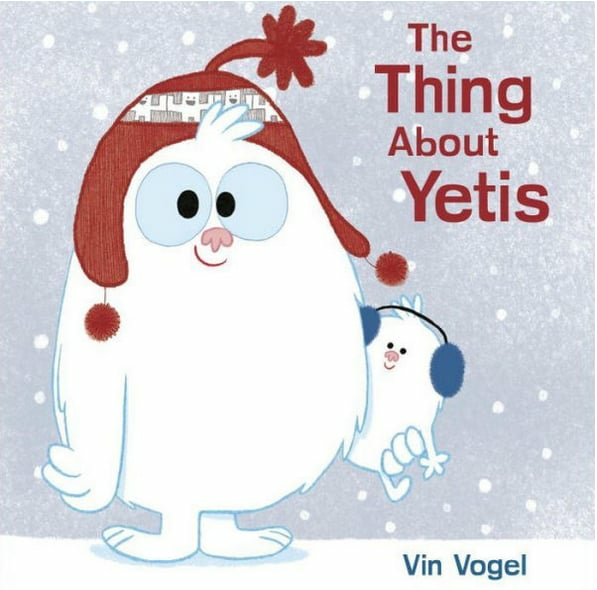 The story, about yetis who actually get cold, is sweet, and the illustrations are delightful, making for a great bedtime story. 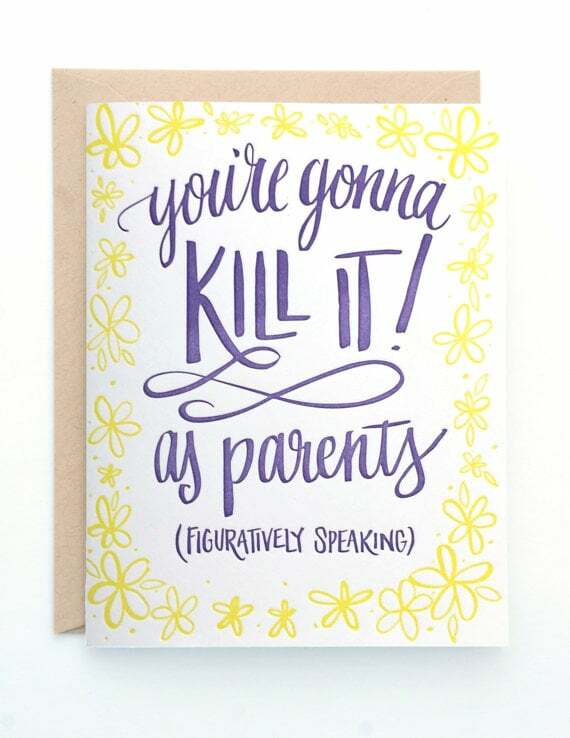 This handmade card ($5) made me laugh out loud — it's the perfect card to be sent alone or with a gift to new or expecting parents. It's so important — especially now that screen time can get a bit out of control — to foster kids' creativity and imagination. 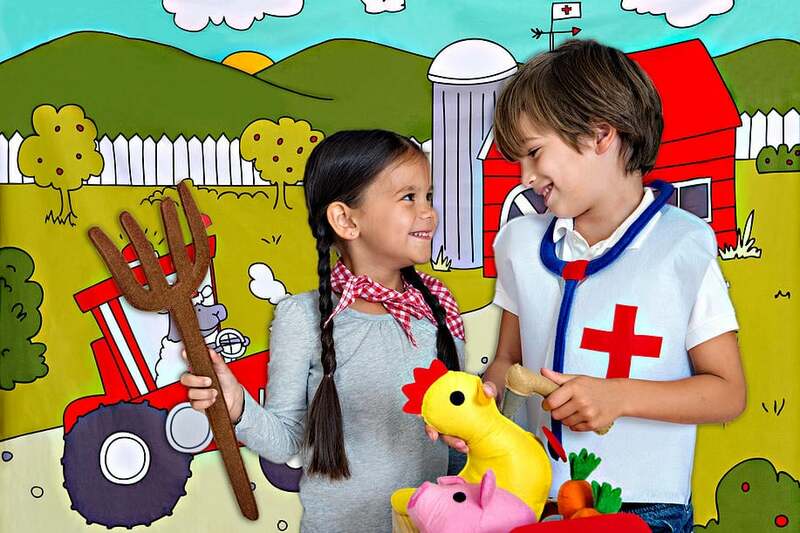 With these Props in a Box sets ($75), kids can create stories using backdrops, costumes, and props that engage the whole family. These come out this month, just in time for holiday shopping! 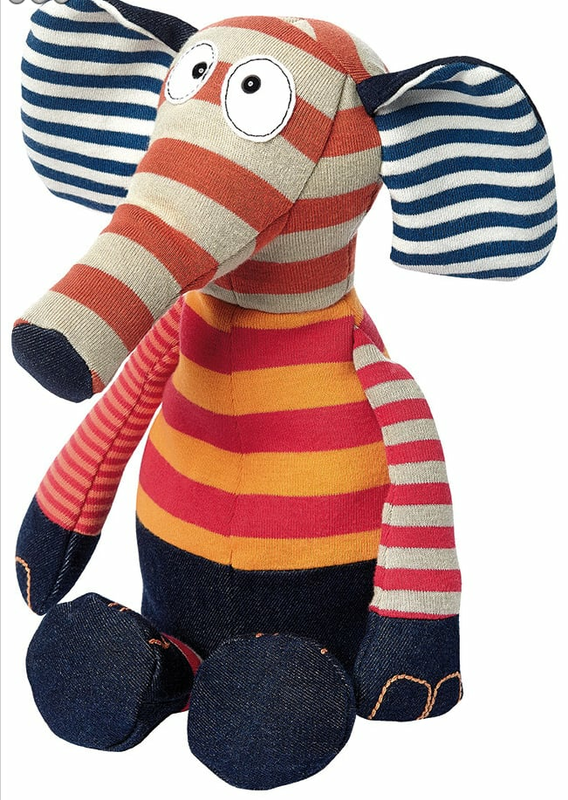 The latest style of stuffed animals to be released from everyone's favorite German toymaker is the striped collection, including the Sigikid striped elephant ($40). The patchwork style is cute enough on its own, but if you look closely, only hand-sewn craftsmanship could get the lines to match up so perfectly at the seams. When I was nannying full-time, there was rarely a day that I got to drink my coffee on the first go (or second or third, for that matter) because as soon as I'd lift the mug to my lips, I'd be bombarded with stories and questions and chit-chat through little mouthes full of eggs. 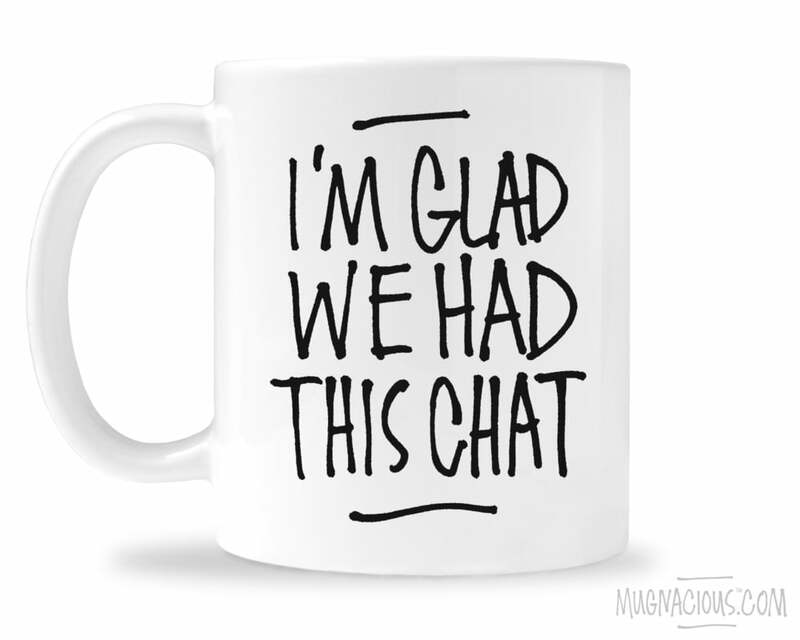 This sarcastic mug ($15) made me think of mornings with kiddos and feeling like my coffee would never be consumed (though, the chit-chat was always so much better, anyway). 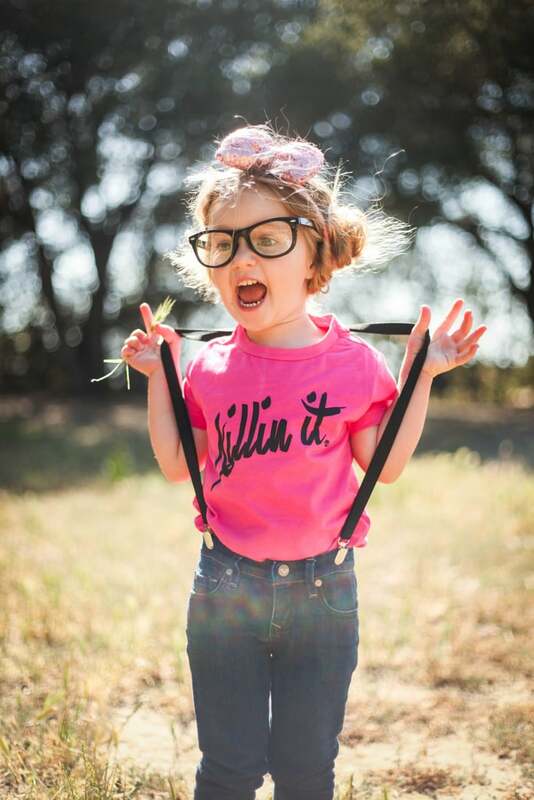 There's nothing cuter than a little babe who wants to emulate their parents in every way. 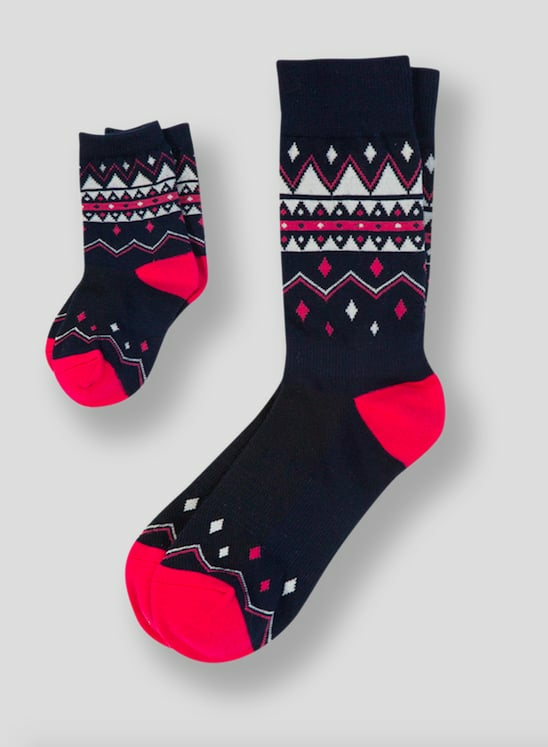 Pair of Thieves gives kiddos an opportunity to match their dad's socks with these dad and kid sets ($16), so whether dad is at home or off to work, his littles can feel a special closeness to him all day long — just by looking down at their feet! 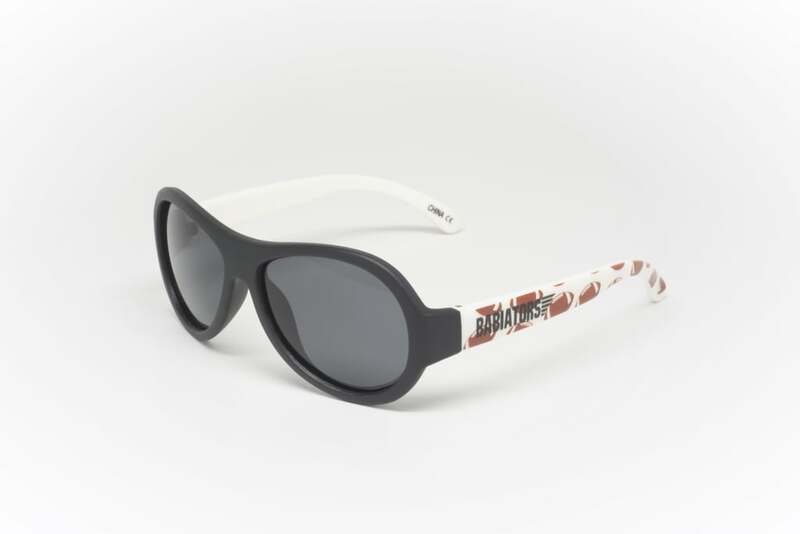 I'm a huge fan of Babiator sunglasses ($20-$45) for kids, and these football-themed ones may be my favorite yet! Rolling out Nov. 2 for $30, these limited-edition kid sunnies are arriving just in time for your little football lover to finish out the season strong (and UV protected!). Whether you're pre-, currently, or postbaby bump, this polished jacket is a wardrobe essential. To say The Cozy Joey ($200) is versatile is an understatement — it transitions with your body (and baby!) to keep you and your little one warm throughout all of the new-mom stages. 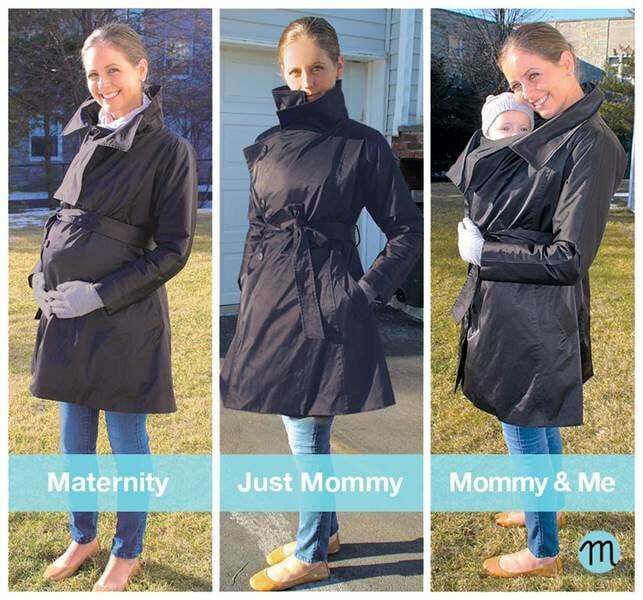 With its wrap design, the coat can expand to accommodate your bump and nestle your babe when he's in a Baby Bjorn, but it also has a tie that cinches at the waist for a stylish solo look. Is it really the Christmas season if you haven't heard Mariah Carey's "All I Want For Christmas Is You?" We didn't think so! Now the mom with the golden voice is taking her words and putting them on paper in a new book by the same name. 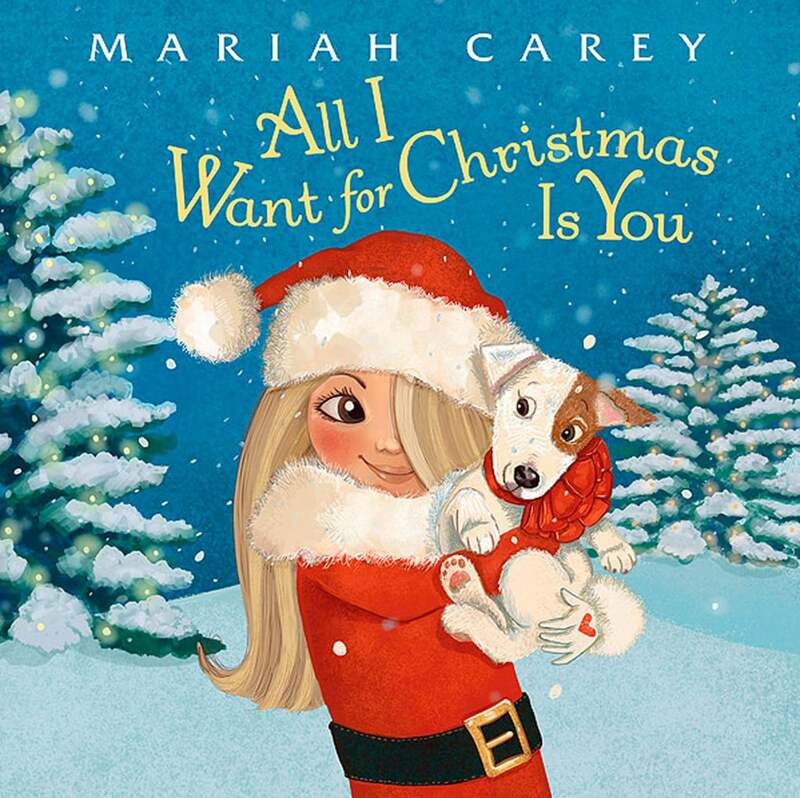 All I Want For Christmas Is You ($14) is the beautifully illustrated tale of a Mariah-like girl who just wants a puppy for the holiday. "When I wrote 'All I Want For Christmas Is You,' it was my dream for it to become a classic Christmas song," Mariah said. "I am so proud of the song's impact as it continues to create memories for fans each year. I am thrilled to be able to bring the story of the song to new generations of families with the picture book." Yeah, we can't wait to read it, too, when it is released on Nov. 10!